Low Carb Living Clarified is your tactical up-to-date informational approach to getting your life and health on track fast. You see the majority of people are overweight or have at least a little flub to lose and many just don’t have the motivation or knowledge to make it happen. This video gives you everything you need to cut the weight by blocking unhealthy carbs out of your life and giving you the power to lose weight and keep it off for life. This isn’t the Ketogenic diet but it’s close. You see when you reduce the glucose in your system, or carbs, you force your body to turn directly to fat for energy and that means you’re losing weight. It’s a balance though because you do need healthy carbs for optimal brain function and the ability to internal function optimally. The key is learning to cut back and find balance and this video shows you how. 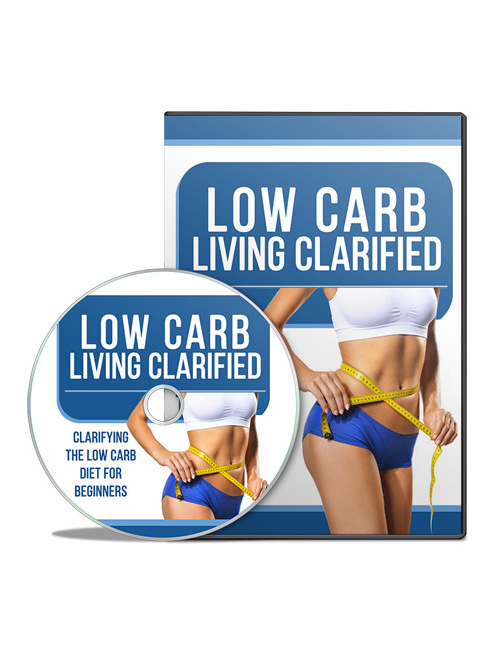 Low Carb Living Clarified is your solution to gaining energy and blasting fat. Get it today and see for yourself.